I'm so excited for this month's theme and was so disappointed that I couldn't find the time to finish last week's Sharing Time, I was almost done with it but alas family vacation awaited. Each month I look at the Sharing Times and kind of plot out what I think is a great way to share things with the kids. I pray about each lesson and start pulling up talks, scriptures, etc off the internet and study. 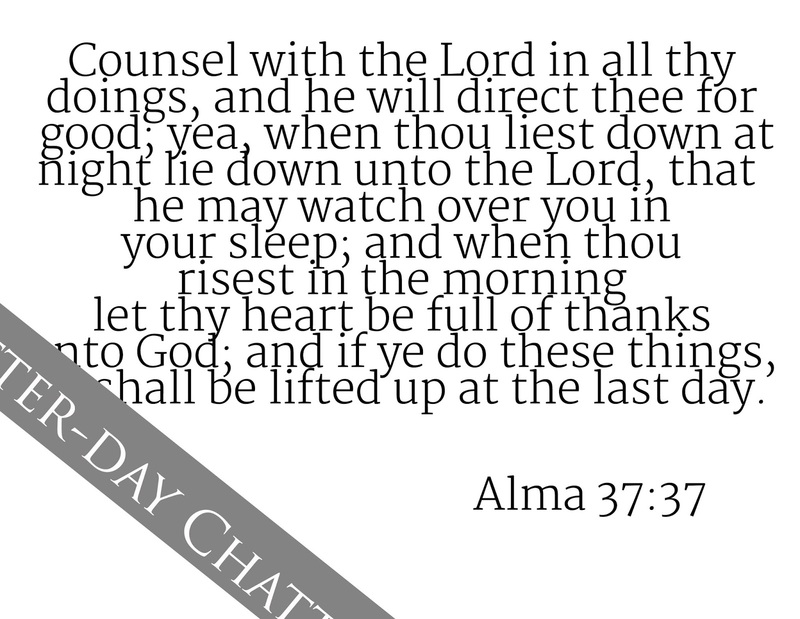 Each week I'm always gobsmacked by the love Heavenly Father has for us and how He answers my little, old prayers on how to present each week's Sharing Time. 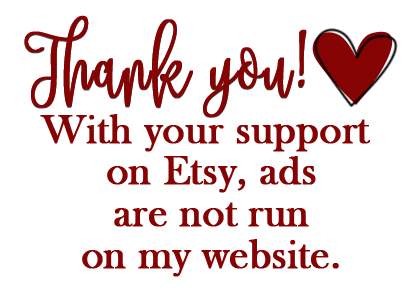 So thank you, thank you for coming here and supporting me in my endeavors in making Primary just a little easier. As always, please remember this is just a guide for you to help your lesson. This is for your Primary. Keep those little and big kids in your prayers as you study and learn for this week's lesson. 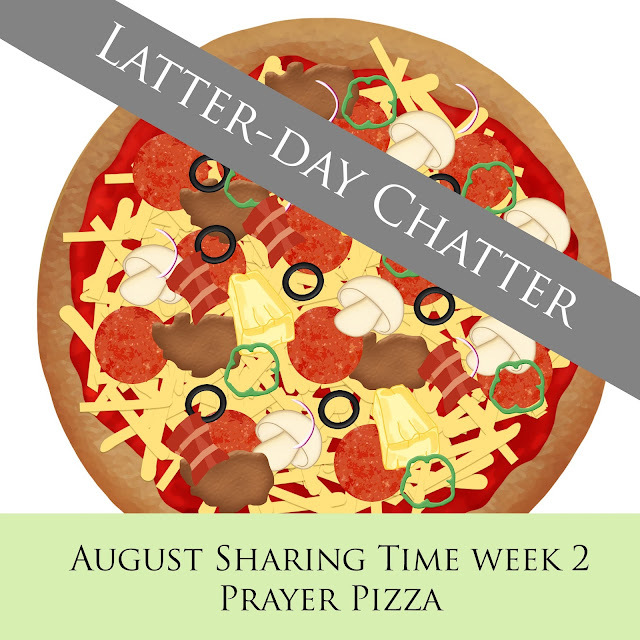 For this week, I couldn't get the thought out of my mind about a quote by President Hinckley of how we shouldn't say our prayers like we order pizza. So for this week's Sharing Time we'll be building a pizza! *If you are confused or need extra help getting a hang of this Sharing Time please email me, I'm more than willing to answer questions. I can't really have a conversation in the comments. The basis of the pizza is to "build our prayers" just as we build a pizza with yummy goodness. The toppings could be blessings we receive by saying our prayers, places we can pray, have scenarios of maybe how we can ask for help, or ask the kids questions about prayer. This lesson truly is about YOUR Primary. I give suggestions and you decide how to best give a lesson. Please email with questions, I will be "around" until about 11:30pm MST. All of the Sharing Times mix together very well this month, it's okay to talk about things from earlier this month or touch on the next couple weeks. 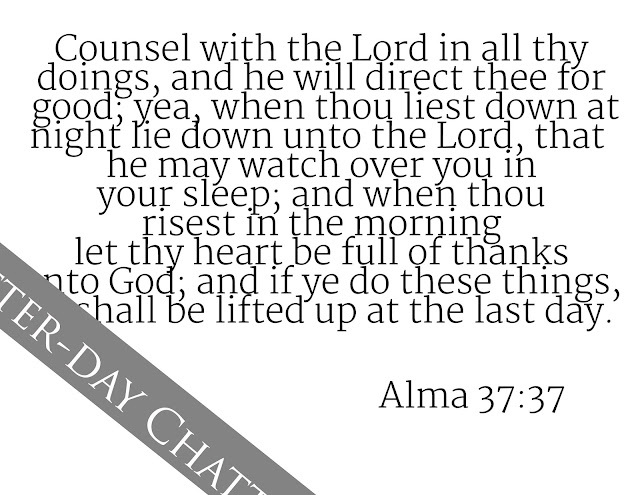 Ask, "What do you think of when you listen/read this scripture in Alma?" Pray.... When do we pray? Where do we pray? Who do we pray to? "You don't have to be any place special for the Lord to [hear] answer your prayer. He knows where you are. He knows your name. 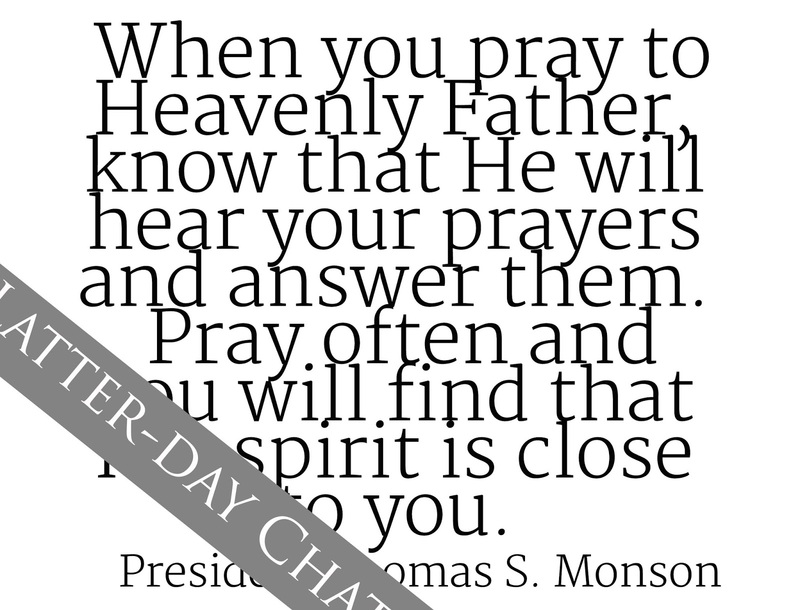 He can answer you right here, right now, any moment." Let the kids know, wherever you are, no matter what time, your Heavenly Father is there listening to your prayers. Answers may not come right away, but we are on His time, he will give us an answer to our prayers when the time is right. As we say sincere prayers, we will have a a stronger relationship with our Heavenly Father. Before you say your prayers, think of your day and what blessings you have received, what you are grateful, friends or family that may need some help, or maybe you need help on a test. It is through our prayers that we can receive strength and the courage to go through hard things, your Heavenly Father loves you and wants to help you. How can I make daily prayer more meaningful? DON'T FORGET ABOUT THE GIVEAWAY GOING ON UNTIL FRIDAY 8/9! !